Six forks, one of which is ... special. Allegory of quality control in technical settings. 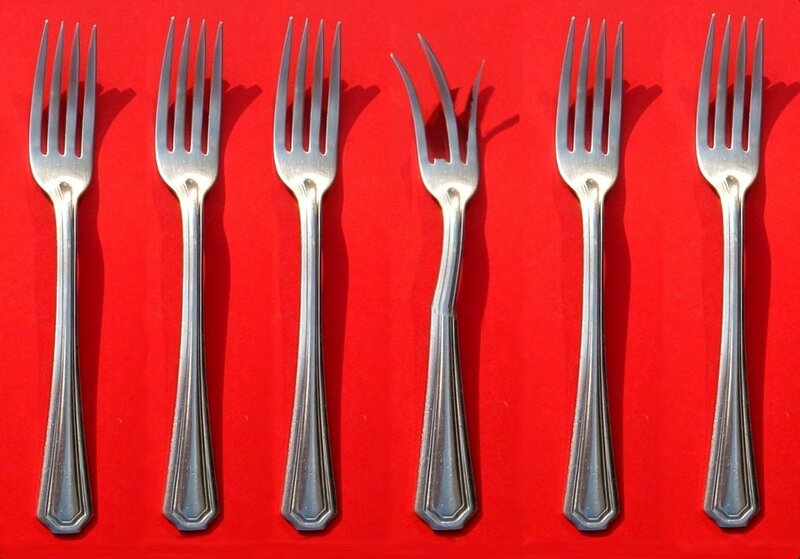 Image based on File:Fork.agr.jpg by ArnoldReinhold and licensed under the Creative Commons Attribution-Share Alike 3.0 Unported license on Wikipedia, hence this composite image is also licensed under the same license.